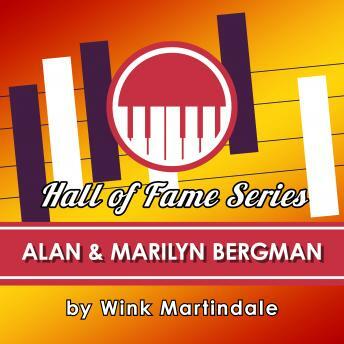 Listen to "Alan & Marilyn Bergman" on your iOS and Android device. For Alan and Marilyn Bergman, being married and working together as songwriters had many perks. The two found that their relationship allowed them to be uninhibited in sharing ideas while crafting a song. In this interview recorded with Wink Martindale in the 1980s, they discussed their lives, lyrics and careers as songwriters. The couple provides an intimate and detailed look at the songwriting process along with sharing interesting stories about some of the songs they've written.